After such a succesful first Rotary After Dark I am looking forward to our next social. Alamo Draft House will be hosting us in their new theatre in LaCenterra. We will start in their bar where Alamo is graciously providing appetizers for us. The club will provide your first 2 drinks, in the bar area only. After an hour in the bar, we will be moving to a 50 seat theatre to watch a classic film, Three Amigos. There will be a full food and beverage menu available in the theatre, but each person will be responsible for their own tab. 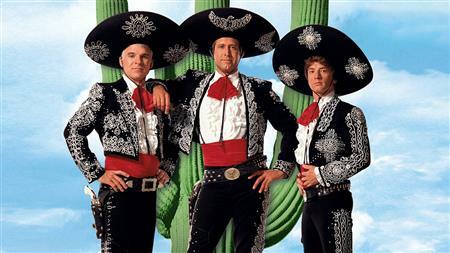 Not sure what Three Amigos is, read up here, https://www.imdb.com/title/tt0092086/. Again, the theatre we will be in is limited to 50 people only. If you don't want to watch the movie, you are welcome to hang out in the bar area.